I can’t believe that our local farmers markets will be coming to a close at the end of October. Sharing the many highs and lows of a farmers market season forges strong bonds between the farmers, vendors and artisans who come together each and every week for six months of the year. A feeling of family grows among the market participants as we watch the seasons change together. Some weeks there are wonderful crowds of shoppers, and other weeks it seems like everyone has forgotten all about the market. There are days of beautiful sunshine, pouring rain, high winds, fog, clouds and everything in between. It is Michigan after all. In the early spring everyone is excited to see one another, to catch up and to find out what’s been happening over the winter months. Some farmers and vendors don’t return, but new additions add variety to the market community. The natural growth and change enriches the market experience for all involved. I have noticed that everyone pulls together to help out the ‘newbies.’ Experienced vendors offer helpful tips, such as using weights to secure the tents. Suggestions on how to avoid ‘rookie mistakes’ may or may not be heeded, but friendships are sure to form as everyone shares their opinions about the ins and outs of various markets. It’s quite an amazing network of hard working individuals. Witnessing shoppers voting with their dollars and fueling our local economy is truly fascinating and educational. I’ve often thought that selling a product in the farmers market would be a wonderful ‘lab’ experience for students of economics. Coming out to the farmers market and trying to sell a product that they make themselves could be an ideal way to learn about displaying the product, dealing with customer service questions and experience first-hand how the laws of supply and demand operate in a marketplace. A sincere thanks to everyone who takes part in our local farmers market; all your hard work and effort is very much appreciated. I will absolutely miss all the members of my ‘market family,’ although I have to admit that there is nothing quite like that first glorious Saturday of November that I will, hopefully, get a chance to sleep in. This month I am pleased to report that we will be increasing our monthly print circulation to 29,000 magazines. We have been blessed with the opportunity to reach out to new readers as we distribute in new locations all around Wayne County. It’s so wonderful to hear people exclaim that they “love this magazine” when picking up their monthly copy. It warms my heart to hear a genuine unsolicited remark like that, and it also helps let me know that we are on the right track with the information that we include in each issue. I absolutely enjoy hearing from our readers and invite you to share your thoughts and ideas with us via email and on Facebook and Twitter. 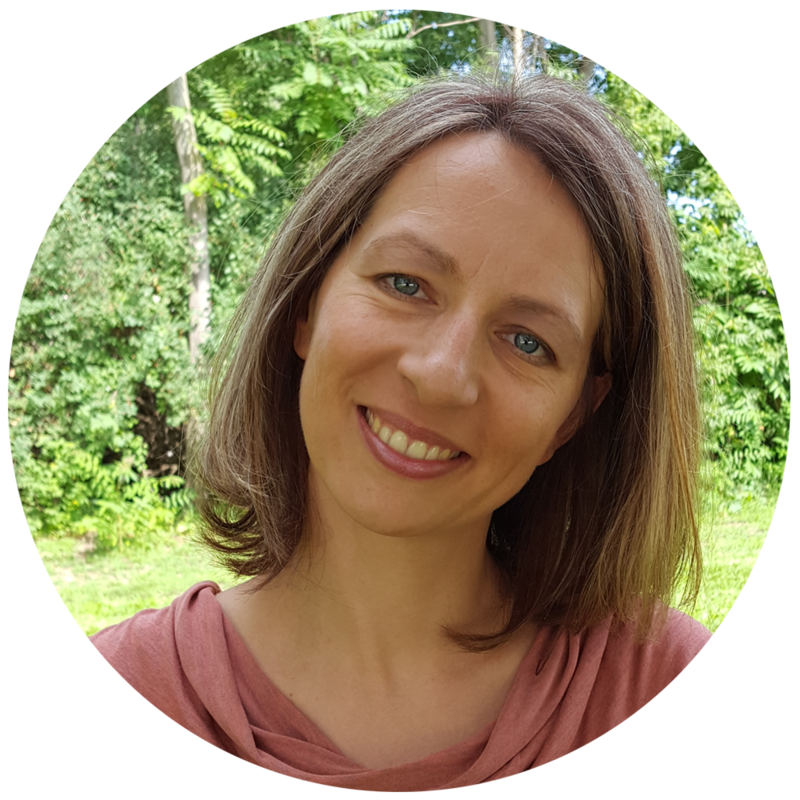 If this is the first time that you have picked up a copy of Natural Awakenings magazine, be sure to let me know what you think because I really do value your opinions. If you are one of our faithful monthly readers, thank you for helping us to grow. It is our mission to continue bringing you information that can help you to live a happier and healthier life. Don’t forget to recycle, re-purpose and re-use this magazine when you’re done reading it. Maybe you can pass it along to a friend or share a specific article with someone that it might be of interest to. 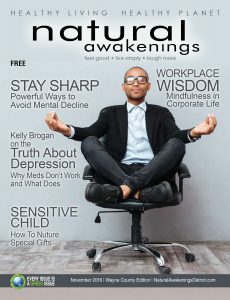 Current and past issues can be found on our website, naturalawakeningsdetroit.com. After all, sharing healthy living, healthy planet wisdom electronically is the ‘greenest’ way to do it.